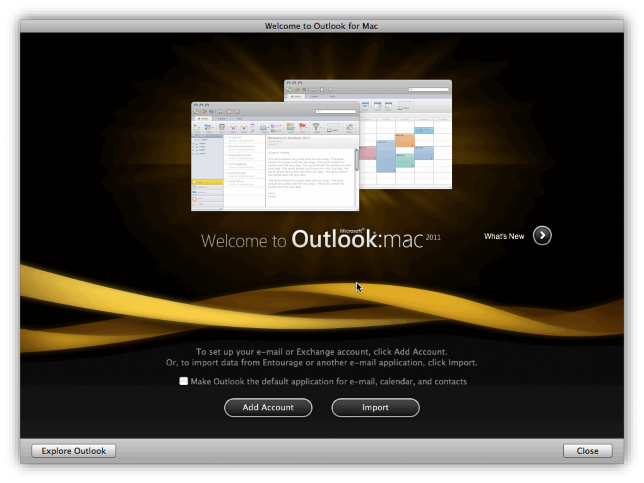 Open Outlook 2011 on your Mac. 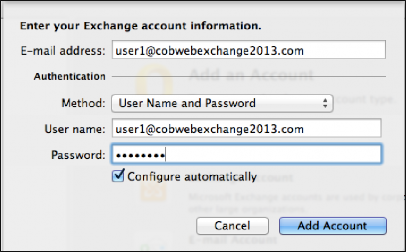 Either click Exchange Account, or click the + symbol located on the bottom left and click Exchange Account. 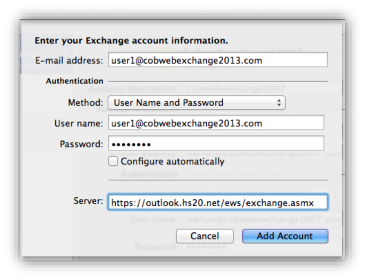 4a) If your account does not auto configure you will be presented with the screen below, simply enter the server in as https://outlook.hs20.net/ews/exchange.asmx and click Add Account. 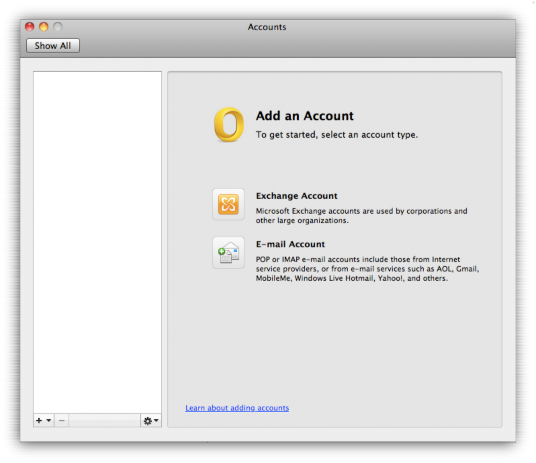 Your Account will now carry on configuring once complete you will be displayed a list of email accounts that have been setup. 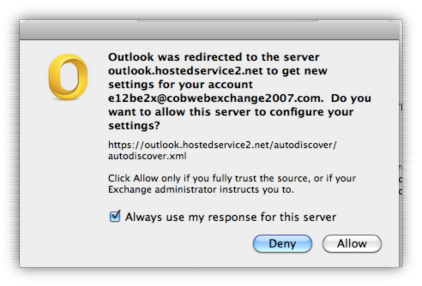 Press the Red Cross, and your emails will start to download.